Excerpted and adapted with permission from The Original Simple Mom’s Idea Book by Deborah Taylor-Hough (Simple Pleasures Press, 2015). Probably the most important step with leftovers is making sure to keep them safe. We’re not really saving any money on our family budget if that frugal dinner of leftovers sends everyone to the hospital with food poisoning! To keep leftovers safe, cover and refrigerate within two hours of a meal, freeze to keep more than three days, and thaw frozen leftovers in the refrigerator. I try to plan one meal each week to use up leftovers. Often it’s during a lunchtime with just the kids and I, but sometimes there’s enough food to feed the entire family. A complete meal of food that’s been “found” in the refrigerator is like getting an extra meal each week for free. It’s a good idea to try and change the way the leftover is served from one meal to the next. Rather than serving leftover fried chicken, you could take the meat off the bone and prepare cold chicken sandwiches for a change of pace. Egg (hard-cooked). Use in casseroles, salads, sandwiches. Fruit (fresh, canned or frozen). Use in smoothies, milk shakes, gelatin desserts, cobblers, fruit bread, muffins, jam, freezer pops. Meat, poultry, or fish (cooked). Use in soups, stew, salad, quiche, enchiladas, stir fry, sandwiches, pot pies. Potatoes (cooked). Use in meat pies, salads, soups, stew. Rice or pasta (cooked). Use in casseroles, soups. Vegetables (cooked). Use in casseroles, quiche, salads, soups, sprinkled over a baked potato, in pot pies. Pancakes, French toast, or waffles can just be popped into a sealed bag in your freezer. When you have enough assorted breakfast leftovers to make a meal, each person can have a variety of different items. To reheat, toast in the toaster on the Pastry setting. Coffee and tea can be frozen in ice cube trays, then transfer the frozen coffee/tea cubes to plastic freezer bags. These work well for iced coffee or tea, and won’t dilute the drink when the cubes melt. Syrup drained from canned fruits can be mixed with a bit of milk and made into creamy freezer pops for a refreshing hot-weather treat. The leftover fruit syrup can also be frozen into cubes and used in cold summertime drinks. If you make a lot of pie crusts, put the scraps into a plastic freezer bag. After collecting scraps for awhile, you’ll have enough for an extra crust. One of the things our family does regularly with leftovers is to prepare a meal we call “Party Tray.” I’ll take all the collected leftovers out of the refrigerator and freezer, reheat them, and then divide the food items among our plates. Everyone gets a little dab of this and a little dab of that – maybe only a bite or two of each item, but after the plate is filled with bits and pieces from past meals, it takes on the look of a plate from a party buffet line. I usually add some sliced cheese and crackers, plus a few cut-up fresh veggies, to complete the party theme. My kids love this Party Tray meal idea. I hesitated for a long time to serve Party Tray to my husband, but one Saturday I just threw together a Party Tray meal for lunch. 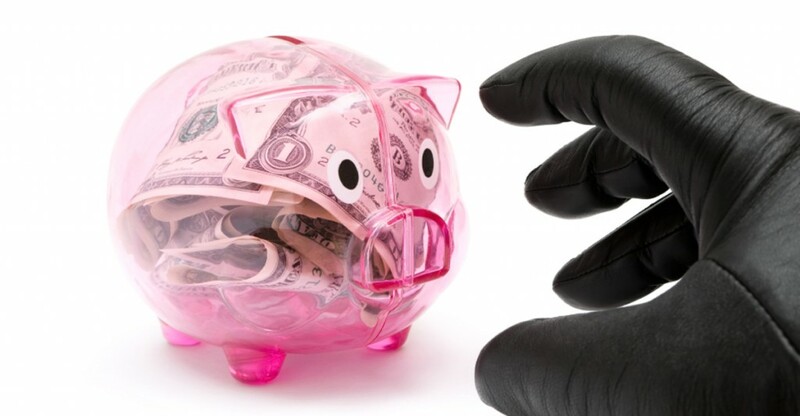 I was so surprised — my husband thought it was a great idea and wanted to know why I didn’t do this when he was around. So Party Tray has became a regular event, enjoyed by the whole family. One night each week we have a Soup and Bread night. I’ll either bake a loaf of fresh bread, a bunch of hearty rolls, or a big pan of cornbread. I keep a covered bucket in the freezer for storing assorted leftovers (meats, vegetables, rice, beans, etc.) to make soup. One woman told me she drew a lady’s face on the soup bucket and called the lady the Freezer Fairy. Her children could hardly wait to feed their leftovers to the Freezer Fairy. Each week, they were excited to see what delicious soup she was going to make for their family (by the way, the Freezer Fairy’s magic doesn’t work well on fish, so don’t add leftover fish to your soup bucket in the freezer). This post is excerpted and adapted with permission from the book, The Original Simple Mom’s Idea Book by Deborah Taylor-Hough, available in both paperback and Kindle ebook formats. You’ll find more handy hints and simple ideas on topics such as frugal family entertainment, organizing your summer, avoiding mosquito bites, simplified party planning, and lots more! 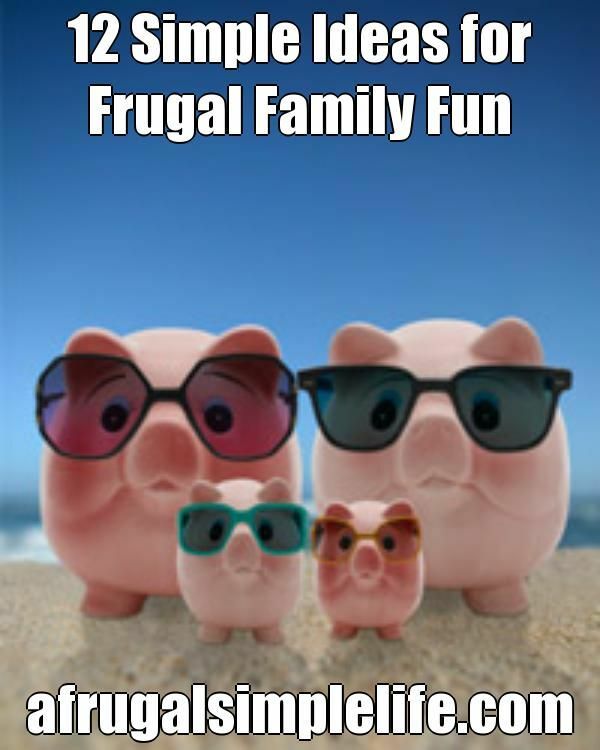 Being frugal doesn’t mean you can’t ever have any fun with your family. Sometimes it just takes a little creativity to find simple and inexpensive activities for all to enjoy. Be patient and wait to see new movies on video. Some communities even offer free video rentals at local libraries and will order new movies if library patrons request a certain title. Excerpted and adapted with permission from The Original Simple Mom’s Idea Book. 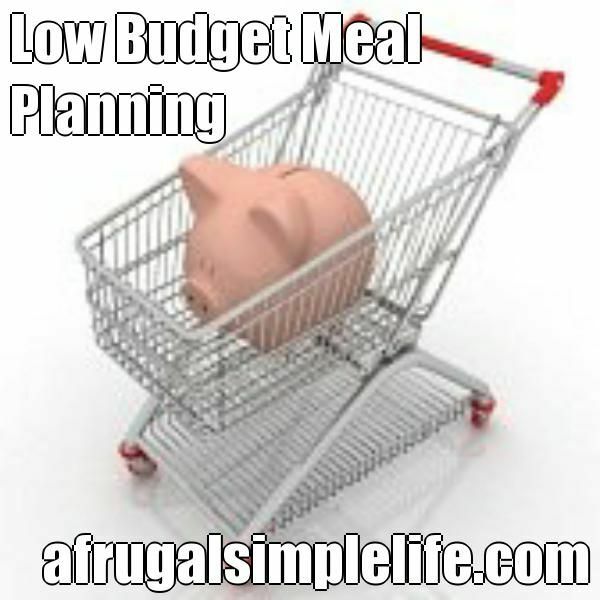 How much of your family’s hard earned money goes to groceries? $150 per week? $100?